We offer customized training and open enrollment at our Open Enrollment Division Maxboom.com just click the banner. Are you looking for a NCCCO preparatory program? We offer a standard NCCCO preparatory program that is designed to prepare crane operators for the written exams. This 3-day program covers the latest OSHA standards, industry trends and load chart workshops to sharpen load chart interpretation skills. Costs for this program can be per student or program. 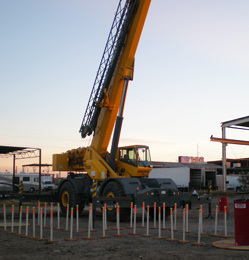 Please call 623-332-2184 or email us at cranesafety@gmail.com with any questions.